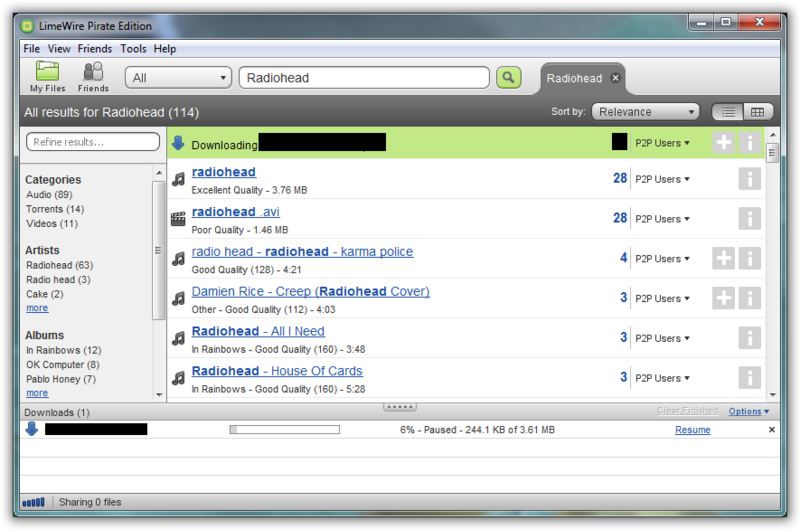 Ever since back in 2010 when US District Judge Kimba Wood issued an injunction ordering LimeWire to disable the “the searching, downloading, uploading, file trading and/or file distribution functionality, and/or all functionality” of the famed file-sharing program users have been looking for an alternative to download content. Many most likely switched to BitTorrent, but some quit file-sharing altogether because they just couldn’t find an alternative that was similarly easy-to-use as LimeWire. 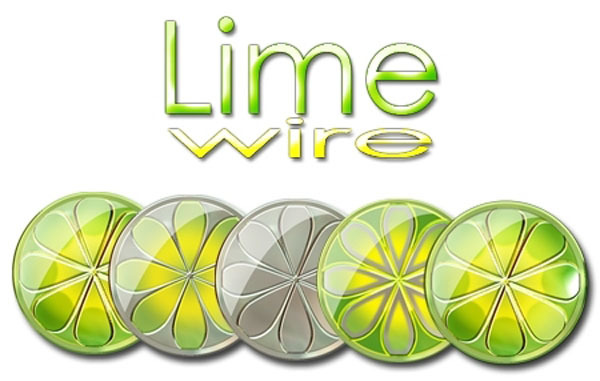 What these people, and sometimes others forget, is that LimeWire is still around, it’s just been modified to live on without the need for LimeWire LLC’s servers. 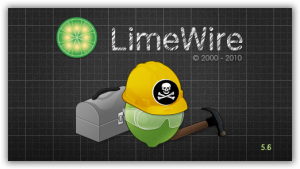 Soon after the demise of the official version a secret team of developers brought LimeWire back to life with LimeWire Pirate Edition. A hacker by the name of Meta Pirate turned the injunction upside down by releasing LimeWire Pirate Edition whereby “all dependencies on LimeWire LLC’s servers have been removed, all remote settings have been disabled, the Ask toolbar has been unbundled, and all features of LimeWire PRO have been activated for free.” The move didn’t please LimeWire or the RIAA, but it did please its millions of loyal fans. 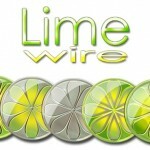 LimeWire Pirate Edition is just as easy-to-use as the official version, and still offers the same features and functionality that users have come to expect. I’lll run through the setup guide and show you how to use it so that if you haven’t returned LimeWire or are thinking of trying it out fr the first time you’ll know how to use and what to expect. I’ll even show you a few tips and tricks for keeping safe along the way. If you’re using another BitTorrent program you’ll probably want to deselect the first box, and launching programs at system startup isn’t usually a good idea. This is very important. You never, ever, ever want to share files with others, at least not copyrighted files, and you certainly don’t want to automatically add files you download to your “Public Shared” list for others to download from you. Some might have difficulty connecting to the Gnutella network. There’s a rundown here of what steps you can take to remedy the problem, but it boils down to installing a fresh gnutella.net file (Windows |Mac). Click on “Public Shared” to see what you’re sharing with the rest of the world. Sharing copyrighted material with others is known as illegal distribution and is precisely what runs afoul of the law. It’s okay to download copyrighted material, but it’s not okay to distribute it to others without copyright holder permission. 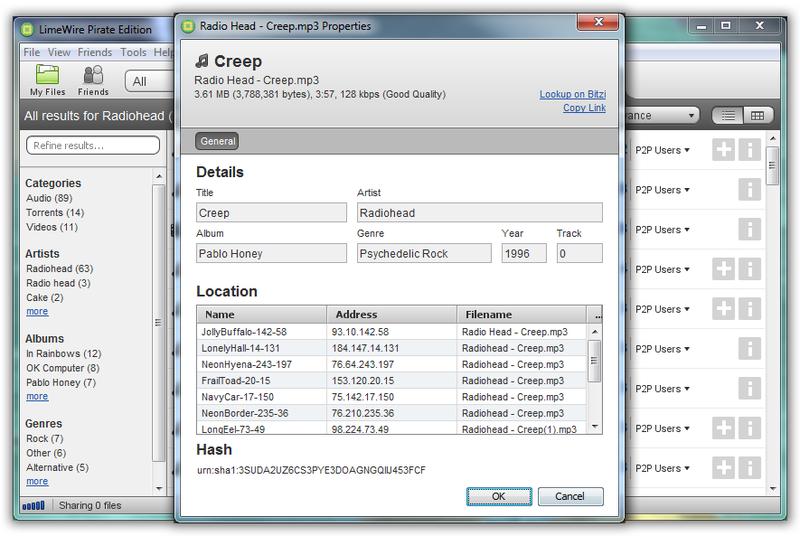 So if you don’t want to get nasty letters from the RIAA and MPAA make sure that this list is always empty. You might also wnat to consider using a VPN service like VyprVPN. A VPN is a virtual private network with “virtual” encrypted connections routed through the Internet to remote servers. The data traveling between you and those servers is encrypted, and the IP address that will appear while surfing or downloading content from the Internet will be that of the server and not your own. To get more info on an item just select the “i” button to the right of the song. This way you can make sure it’s what you’re looking for. Click on an item once you have found what you want. 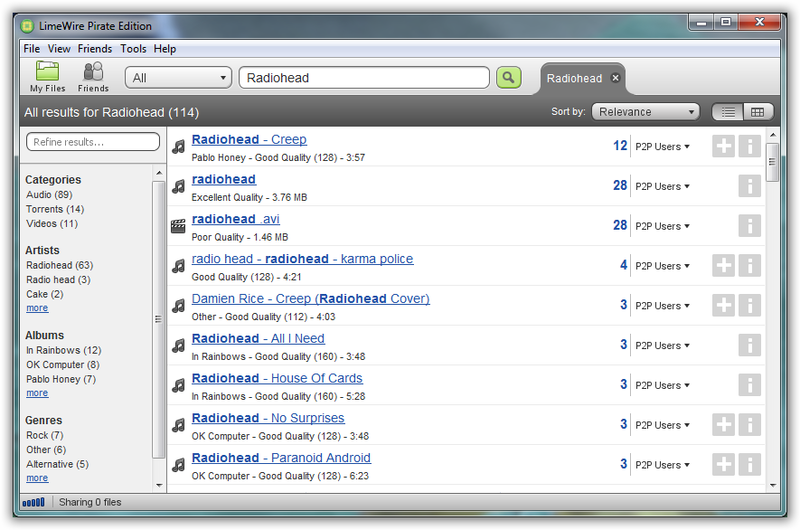 Notice how in the left panel you can also narrow the search by album, artist, and category. Do you want a video of the song or an .MP3? The first time you try to download something without a copyright license it’ll ask you to confirm your choice. Select “yes” and check “Do not warn me again.” Your download should soon begin afterwards. Do you on plan on using LimeWire Pirate Edition or are you already comfortable with an alternative like BitTorrent?